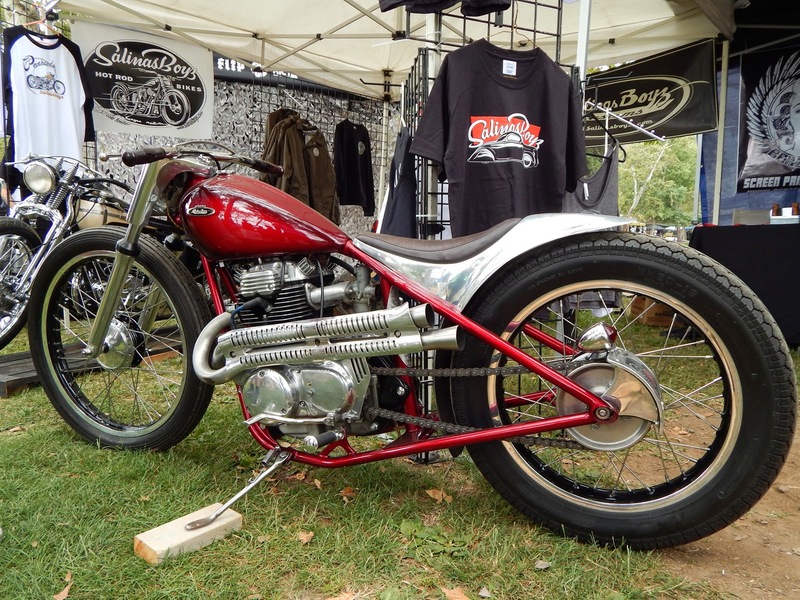 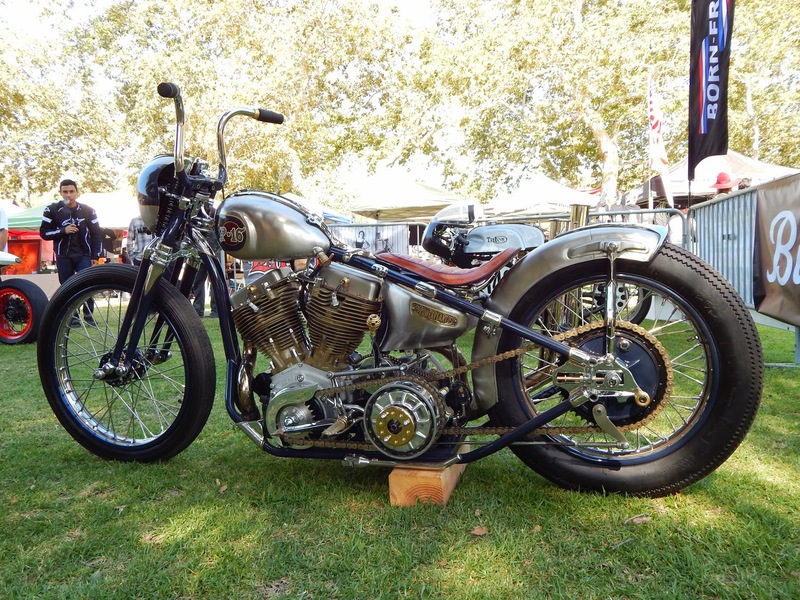 Our third year at Born Free Bike Show was Awesome! 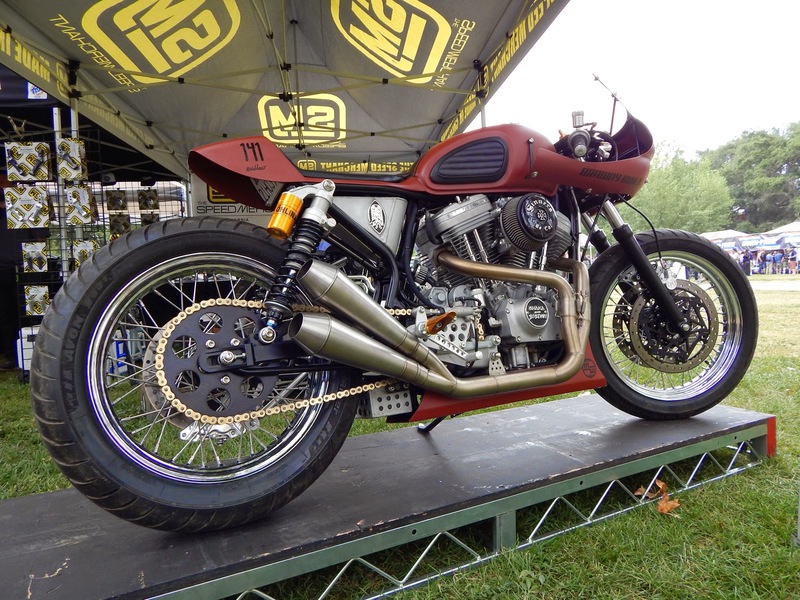 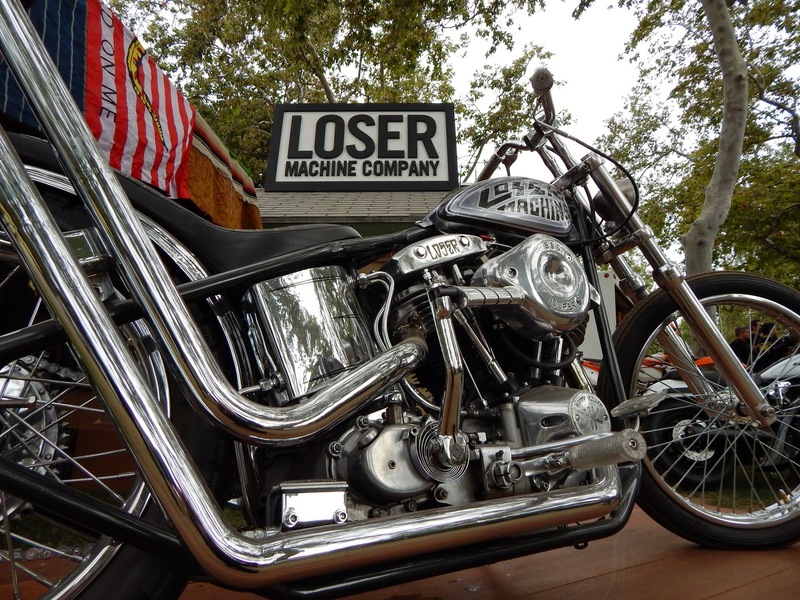 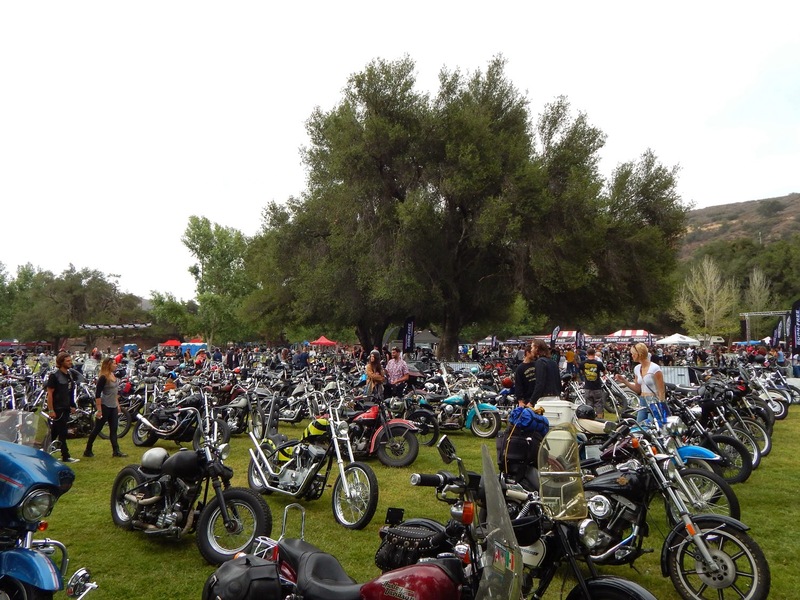 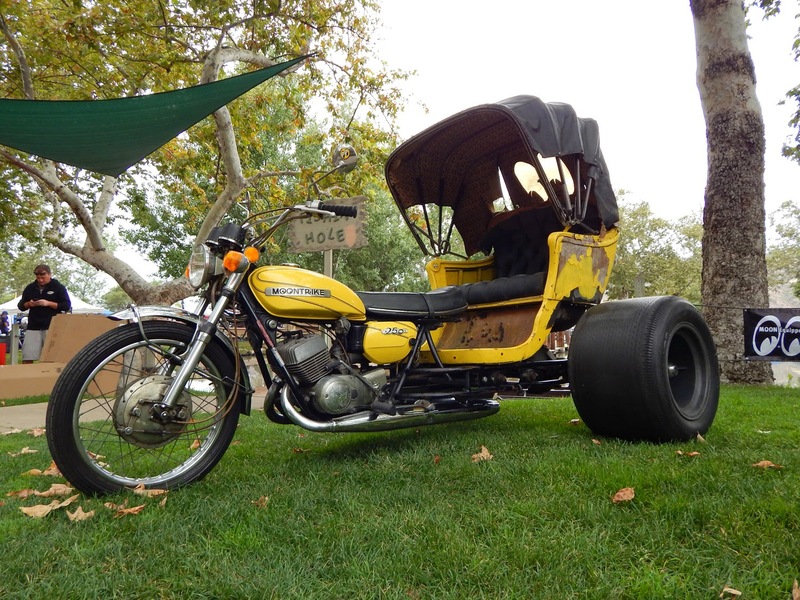 Born Free 6 was once again held at Oak Canyon Ranch in Silverado, CA near Irvine. 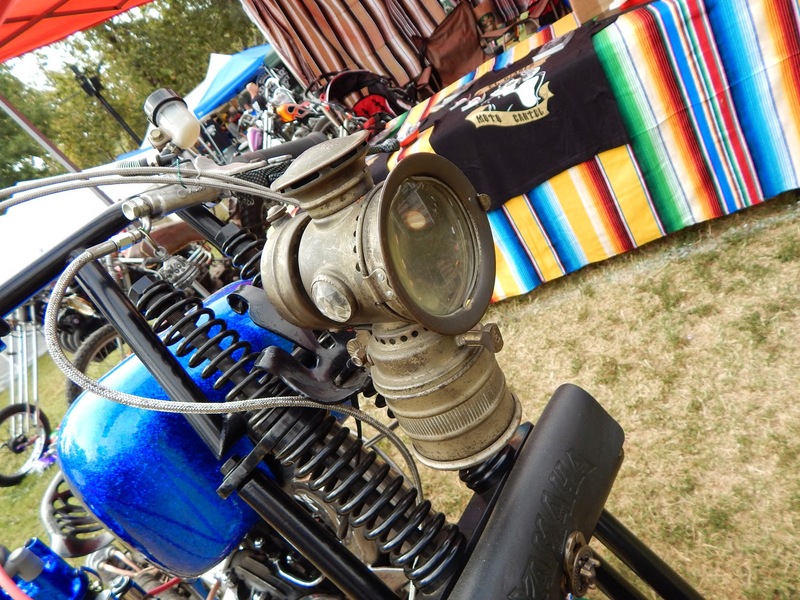 The show is focused on vintage motorcycles and creative garage builders who get their inspiration from those bikes from the past. 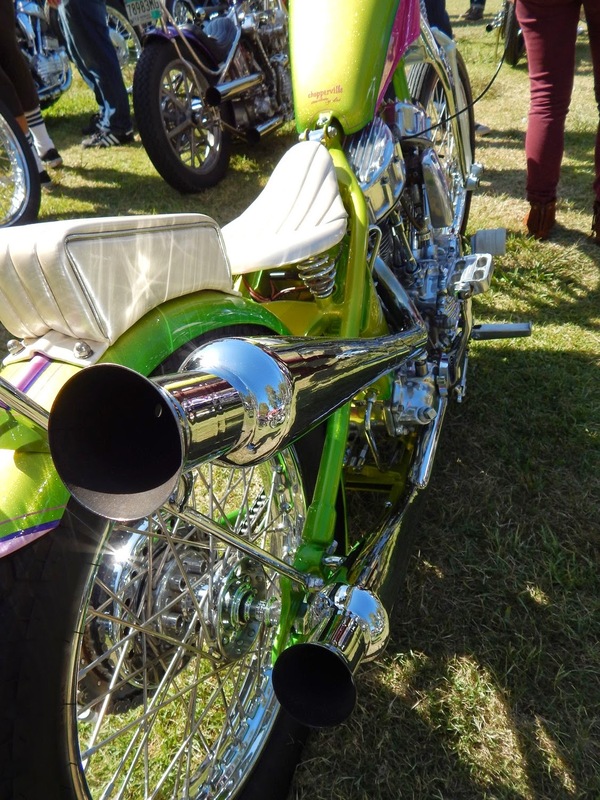 The festival has a definite 70's vibe. 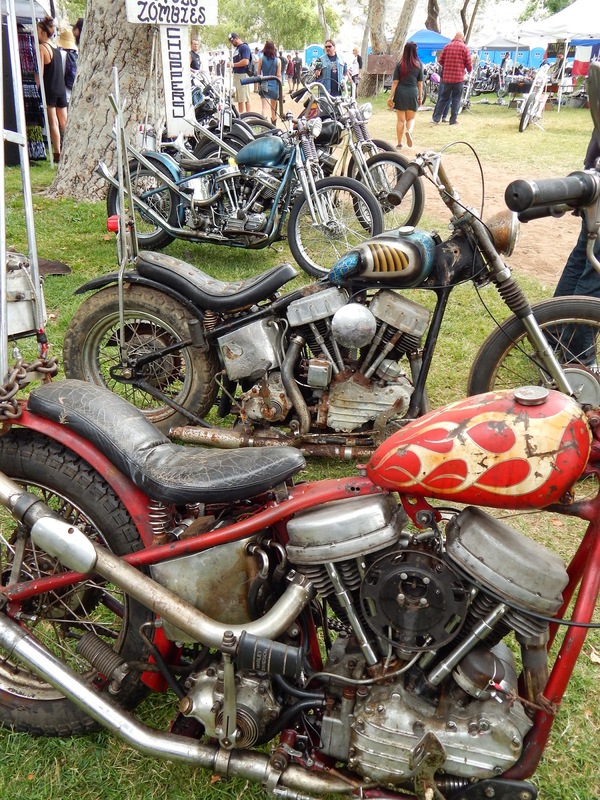 Lots of hair (beards and long hair), short shorts, skin and tattoos. 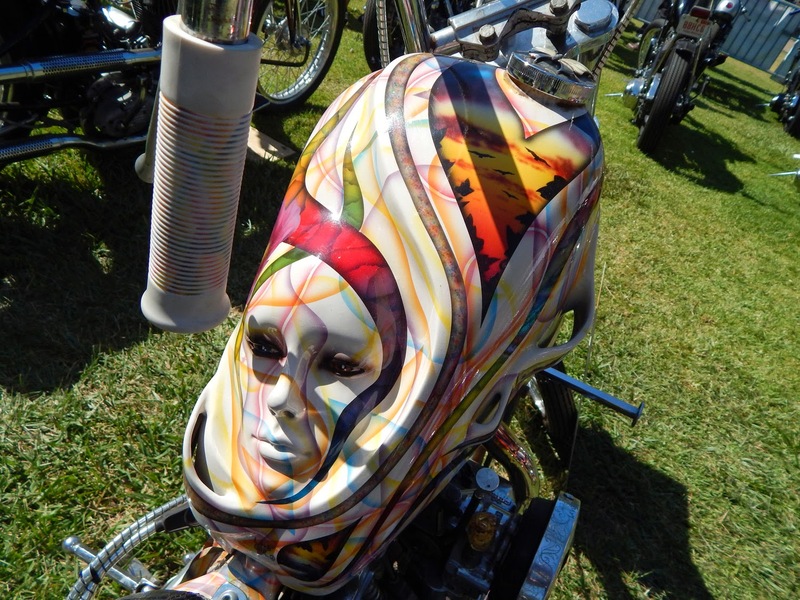 Custom parts, leather tooled seats and sculpted, painted tanks. 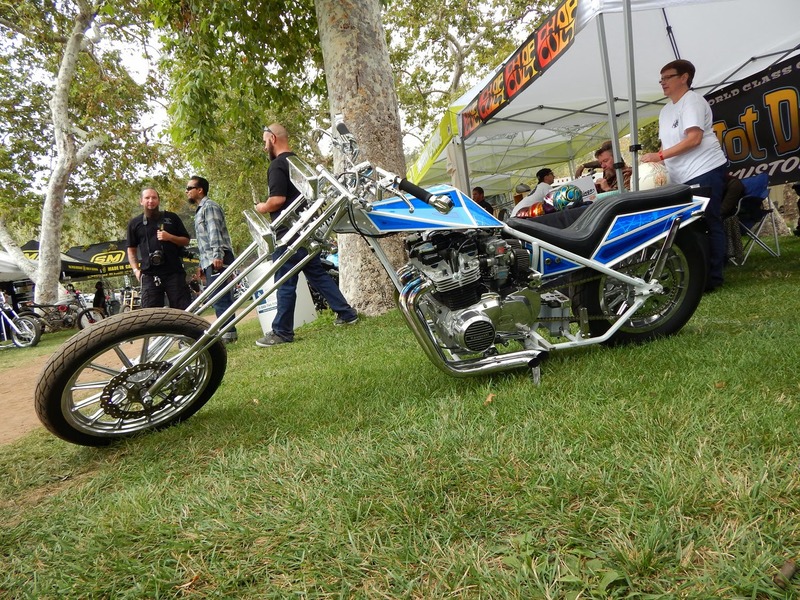 Here are a few pictures from the event. 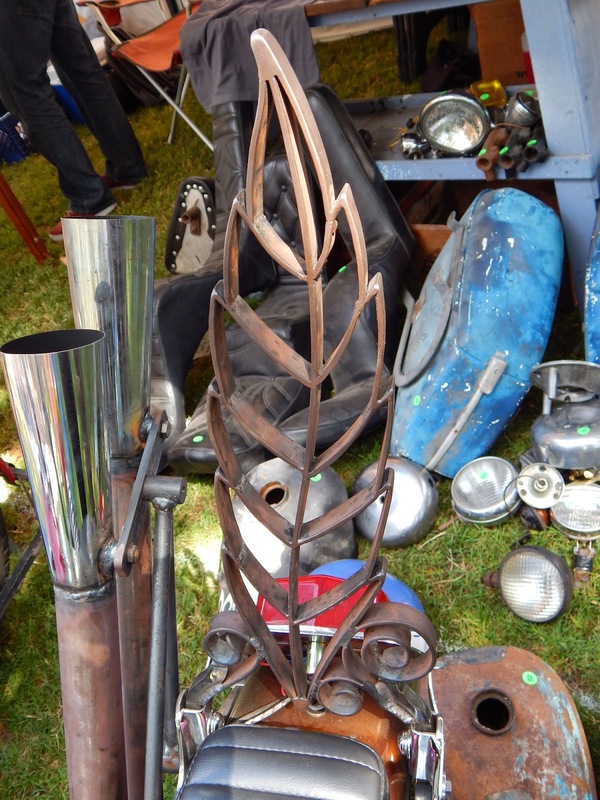 See more on our Facebook Page. 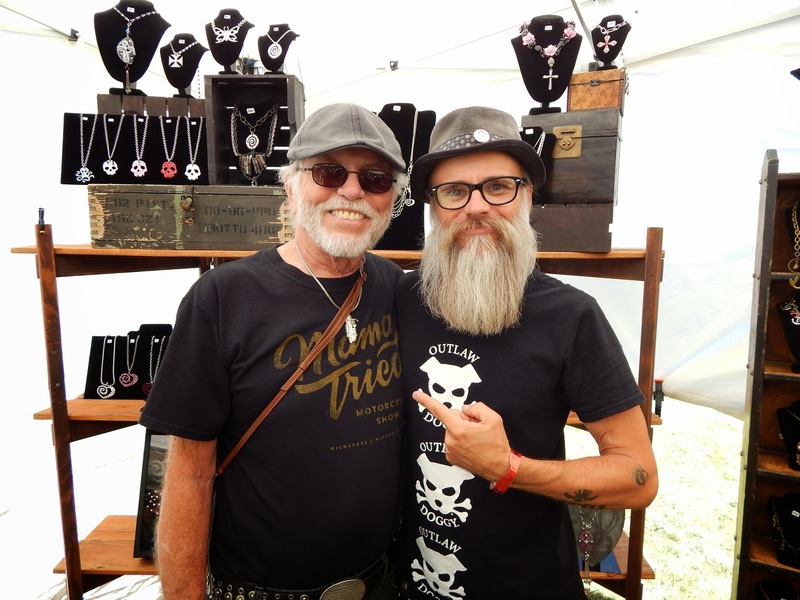 Willie G Davidson, the former Senior Vice President and Chief Styling Officer of Harley Davidson stopped by our booth to check out our buckles and Jon got a picture with him. 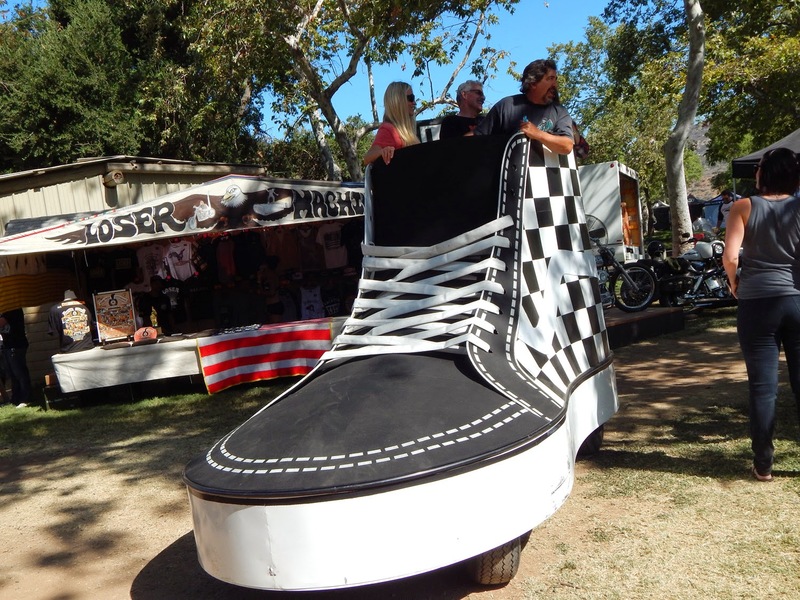 The Van shoe was tooling around! 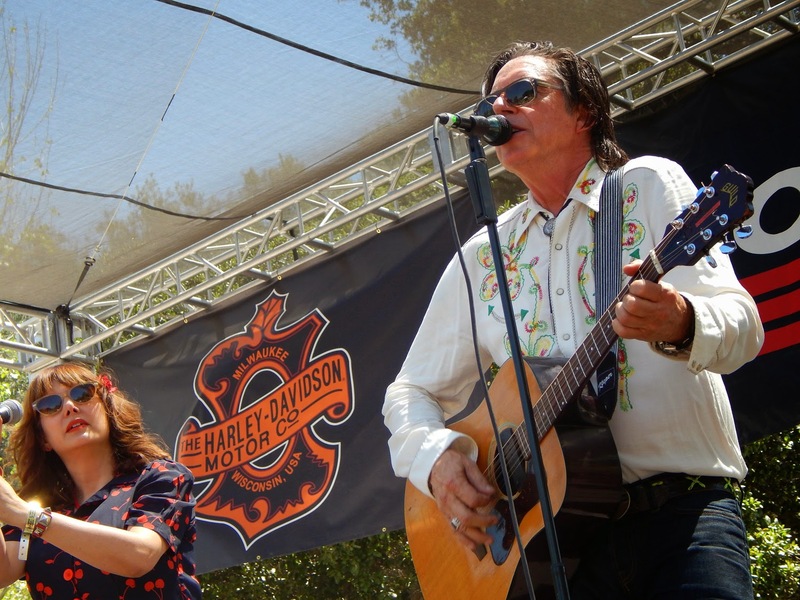 John Doe graced the stage with his cool tunes! 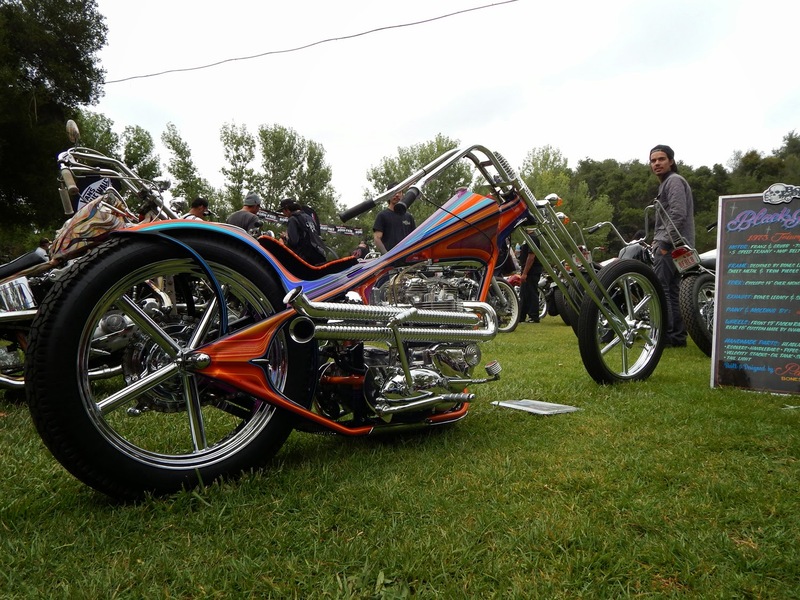 Now for some sweet bikes! 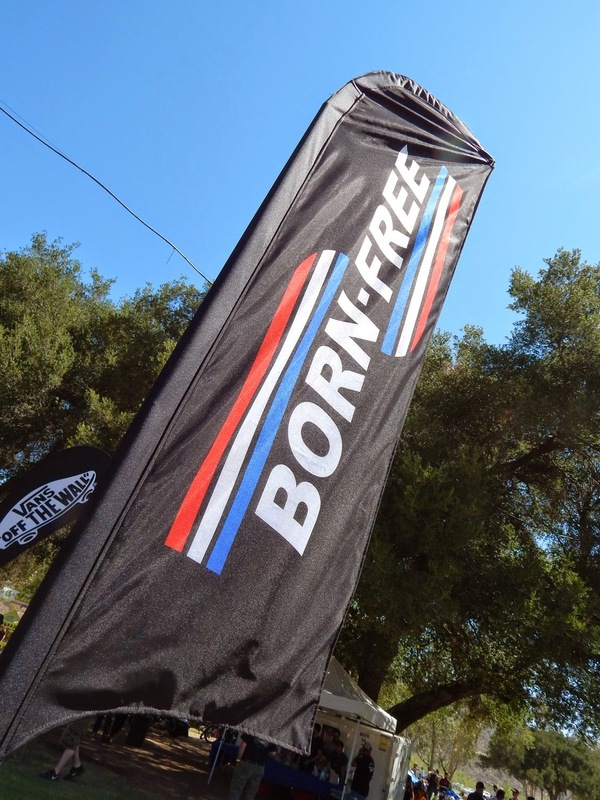 See you at Born Free 7!